Summer is the best time of year for me to tackle the stacks, and stacks, and STACKS of books I accumulate all year long. I never really get around to reading all of them, I’m aspirational when it comes to what I think I can get through, but I do end up reading a fair amount of books in the summer. It’s just easier to read when there’s more daylight and hammocks and pool time. At least for me. I’ve already powered through about 10 books in the last two weeks, reading at day camp pick-ups, swim practice, doctor’s offices, trips to the hospital, and late night sick watch with my daughter. Thank heaven, because the book stacks next to my bed seem to multiply in the night when I’m not watching. I also have a few stipulations about Summer reading: nothing heavy. Period. I’m not reading Tolstoy next to the pool. The most complicated I want to get is whether Tiffanie should choose Todd the fireman or Chad, her long lost high school boyfriend to help her raise her complicated teenage daughter from a previous relationship. I mean, I’m kidding, a little. But I’m also serious. No solving energy crises / world peace / philosophizing about the meaning of life during Summer hours. If a book can’t be read in an afternoon, it doesn’t make my reading list. 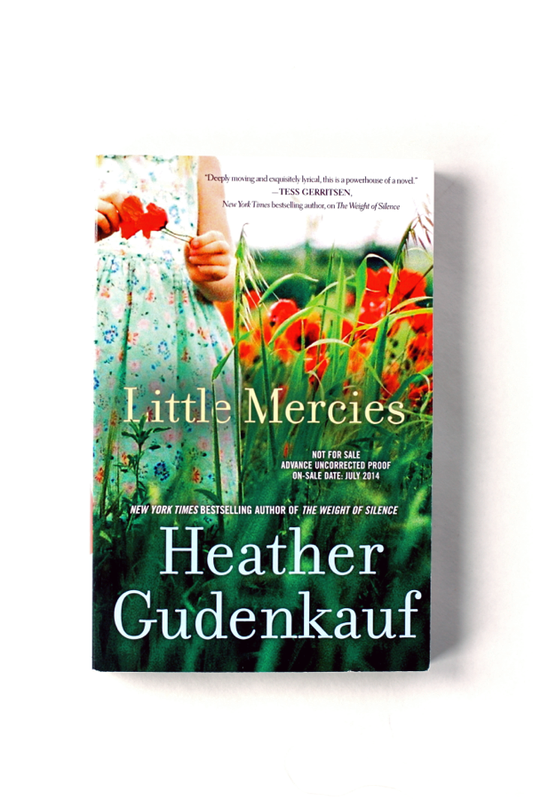 There’s a new book out from novelist (and New York Times bestselling author) Heather Gudenkauf that fits my strict, *cough* qualifications for a Summer read. It’s not at all the fluff of Tiffany and Todd the fireman, but it’s really good fiction and was a good, thought provoking new read. It covers some seriously heavy hitting topics, so be prepared to buckle in, but it’s really good with a lot of food for thought. You can check out the book reviews for Little Mercies on Goodreads to get a feel for the book, but know it’s a good one, and you should put it on your list. Here are my favorite picks for the summer. 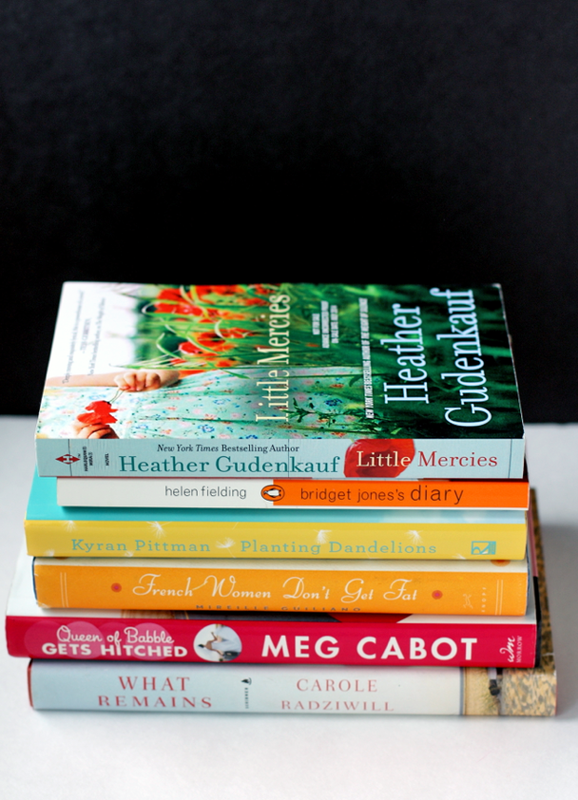 And yes, I routinely re-read my most favorite summer reads every season. What are you reading? Seriously, I want to know. I may have 20 books stacked on the floor next to my bed (no, I’m not kidding), but I’m always, always up for some good new book suggestions. 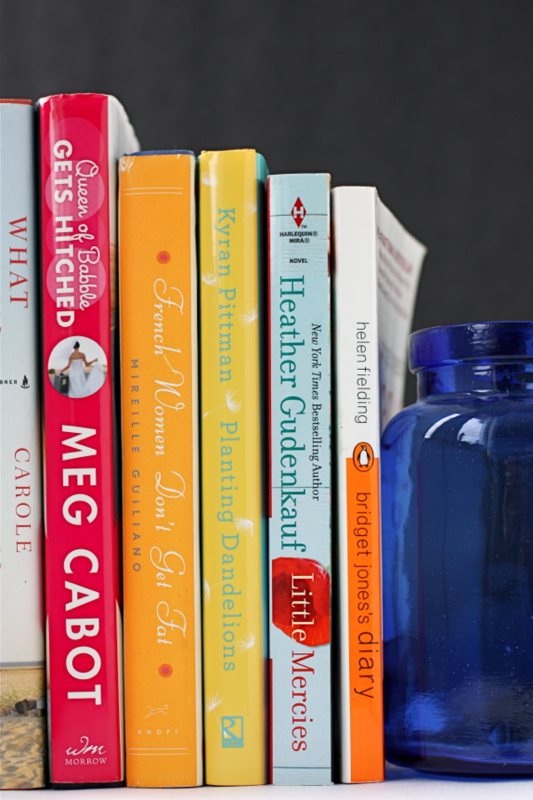 What are your summer reading rules, if you have any? DO TELL. I’m going to be checking all these out! I have about the same qualifications for summer reads. I need to be able to multitask while reading it or at least not expend any extra energy. I’m plowing through the outlander series even though I feel like I roll my eyes a lot while reading it. Also I’ve been reading YA zombie books, which is new for me. The razorland series by Ann Aguirre starts off slow but each book is better than it’s predecessor and they are so fast to read. And then I read My Name is Resolute by Nancy Turner and it doesn’t fall under read in a day or chick lit but it was so fantastically amazing and everything I could’ve hoped for in a book by the author of these is my words. Thanks for the great reading recommendations! Seeing “Bridget Jones’s Diary” in that stack tells me that we have the same strict summer reading qualifications! I feel so close to you now. I LOVED what remains and it started my deep love of memoirs. Great list!